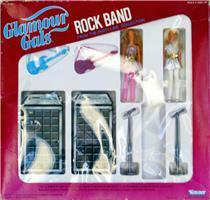 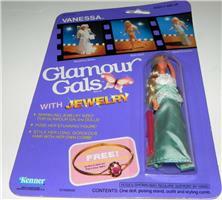 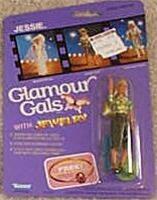 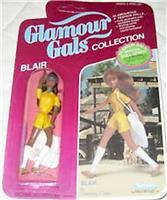 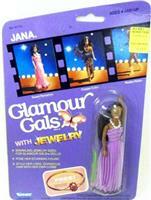 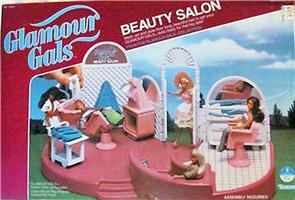 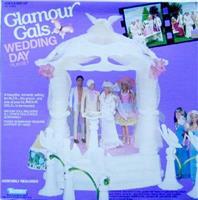 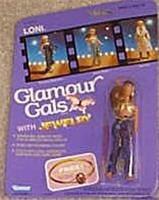 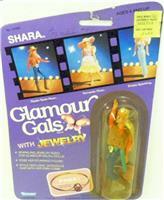 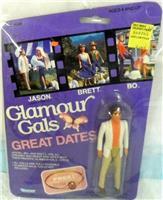 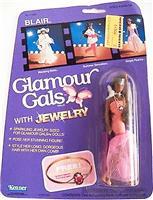 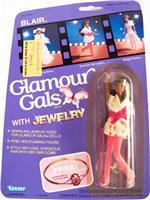 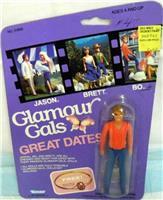 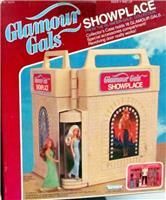 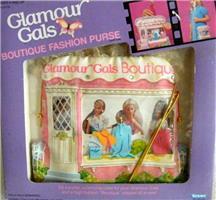 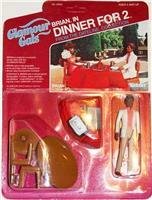 Glamour gals were very expensive by 1980's standards. 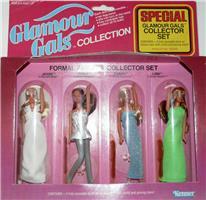 One 4 1/2" doll was $4 - $7 in the original package. 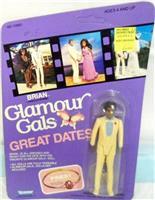 Pretty hefty for most people. 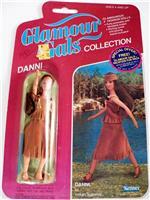 The dolls had rooted hair, but the eyeshadow, eyelashes, shoes, and sometimes parts of outfits, were painted on. 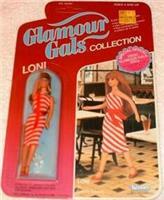 Sveral dolls were in painted on bathing suits. 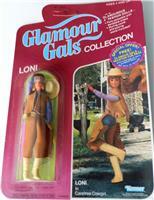 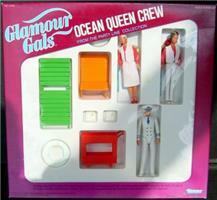 The dolls and outfits were never sold separately. 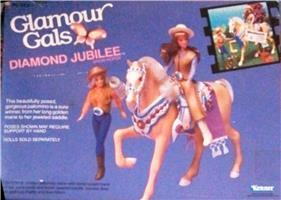 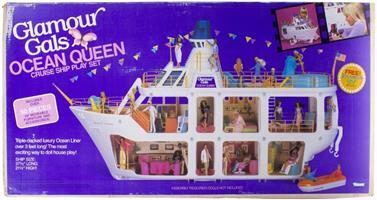 However, some dolls came only with certain playsets.